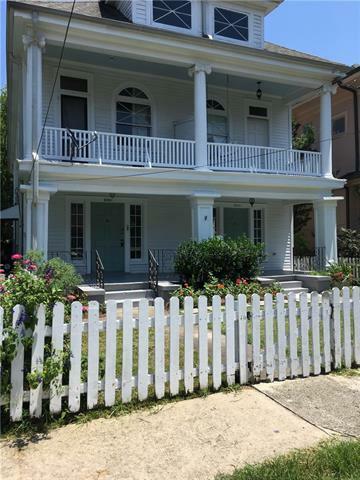 Recently renovated.Be one of the first to enjoy freshly painted rooms,updated bathrooms & new wiring.2 story apt located 4 blks from universities, 1/2 block from popular Freret Street & 1/2 block from Lusher School.Basic features include high ceilings,mantles,wd flrs,ss appliances,lg pantry & lg laundry room, w/ washer/dryer. FURNISHED. Special architectural features include custom patterned light oak floors,coffered ceiling & natural wood trim throughout.Lots of light,storage,front & back yards.No smokers. Listing provided courtesy of Susan Ordemann of Property One, Inc..